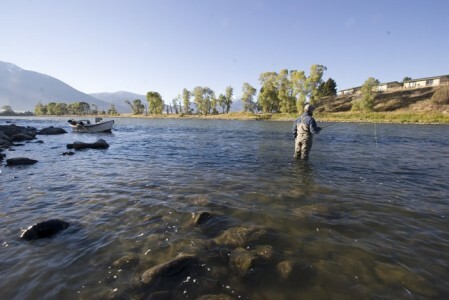 The Yellowstone has still been fishing well. Purple Para Wulffs and Parachute Adams have been producing as the BWO activity is getting really good. Streamer fishing has still been hit or miss but reports have been a bit more on the positive side. Natural colors like black and olive have been moving fish but flashy white stuff has also done well. Slim profile streamers have done the best. Dirt snakes will be in the water anytime after a rain storm and can be properly imitated using a San Juan Worm. Nymphing is a really good bet at the moment. Smaller flashy mayfly beadheads and stonefly nymphs have been the best options. Little Spankers and soft hackle Lightning Bugs have been our favorites. A lot of whitefish have been caught while nymphing, but this method has surprisingly been producing more trout. The next few days look like they will be great for baetis hatches and streamer fishing with some rain and cooler temperatures.